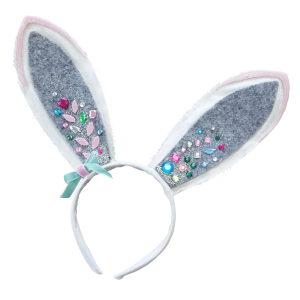 Wear your sparkle wherever you hop and go by creating your own fashionable bunny headband — complete with fabric and accessories. Recommended for ages 4 - 6. This Seedling Kit contains: Pre-made Bunny Ears, Assorted Felt, Rhinestones, Velour Ribbon, Glitter, Craft Glue, Instructions.